It’s all about time these days. Summer has arrived, and I’m making headway on lots of activities while others allow themselves to slow down and go on holiday. It’s fascinating for me to discover the world from our trailer. This week our Putt-Putt is being fixed so, we are living at The Wallhouse Hotel in Walnut Creek, Ohio. What an unusual lifestyle! There’s space here! Zones to get used to! There’s a counter to cut, glue, and assemble... Create for goodness sake! But like most of us, it involves a bit of time to research, create and publish an artists’ book. Looking back I routinely need a year to mull a publication over before an artists’ book is successfully revealed. © 2017 Louise Levergneux, November 11, 11:56 am, San Antonio, Texas. 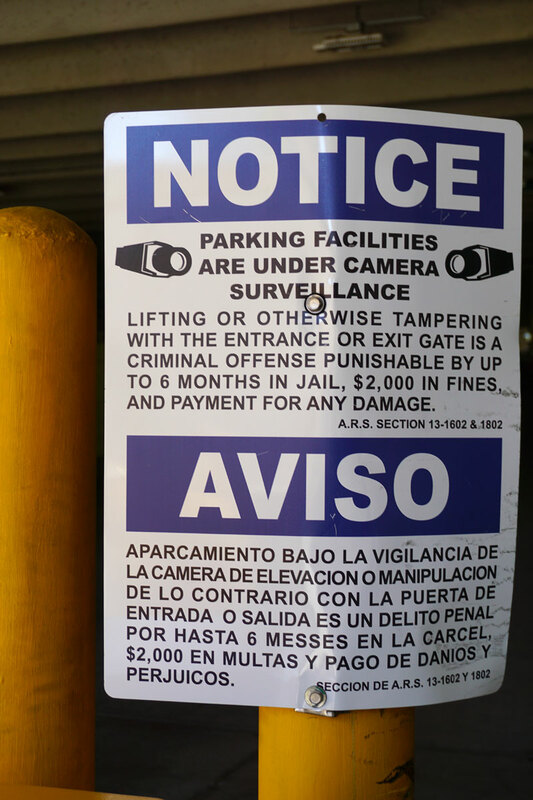 Image for an artists' book on surveillance. © 2017 Louise Levergneux, December 13, 3:34 pm, San Antonio, Texas. Image for an artists' book on surveillance. Following a creative sequence, starting with an idea, I carefully explore my surroundings and photograph what captures the imagination. The flow of work comes when the intention stimulates me enough to grab the computer and get close and personal with the whole concept. The adaptation of the photos I investigate, manipulate, re-organize, write and plan demands the most extensive amount of time. What presentation do I prefer? How will the viewer interact with the content? Is the content versus the context achieved? What structure to choose? Only after my conceptual framework has materialized, do I know that the physical object — my artists’ book — is attained? The primary goal is to produce a book that tells a story in a dynamic way for the reader to experience. June 29th, 5 pm. 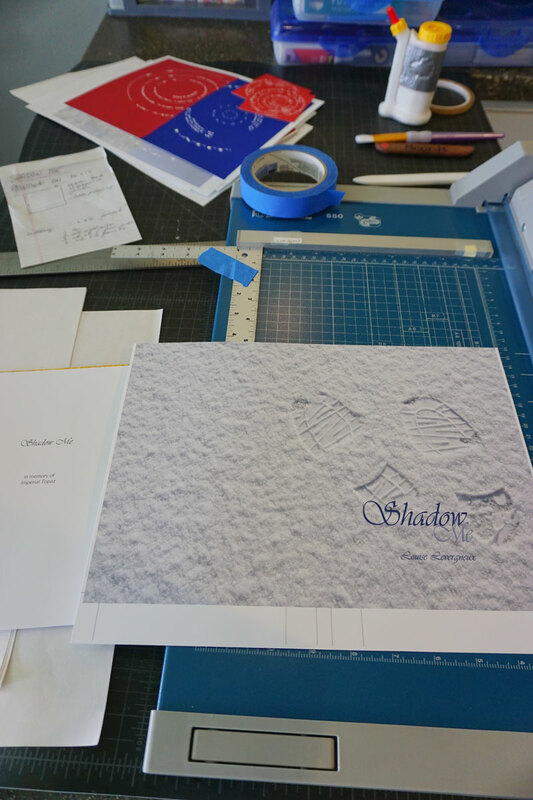 Utilizing the countertop in our room, I produced two copies of Shadow Me. It took part of a day to figure out the process. The first copy was produced a year ago to re-create another copy was difficult! Are you capable of writing good notes to continue an incomplete edition at a later date? Thinking I was, NOT! Have a great 1st of July! July 2nd at 8:00 am. Email blog post to subscribers. Start thinking of the next blog post.